Chanters are storytellers and repositories of ancient lore from myriad cultural traditions. They use these stories and legends to stir the memories of the dreaming lost souls and soul fragments that surround them. The spirits respond by creating magical effects, essentially playing their part in the recreation of the legends. In this way, chanters act as directors of supernatural actors playing out momentary plays for the chanter's benefit. Due to their heavy focus on folktales and storytelling, they have an inherent bonus to Lore. As explorers of many lost and forgotten vaults dating back to Eora's antiquity, chanters also have a bonus to Mechanics, helping them bypass tricky locks and traps. To use their special kind of magic, chanters link together individual short phrases from different legends to create longer chants. The phrases have distinctive, thematically-appropriate effects that are of low power but can be applied while the chanter is engaged in other combat activities. As one phrase ends and another begins, the effects of the first phrase will linger, allowing multiple phrases to overlap with each other. Through the clever overlapping of phrases, chanters can grant their allies a sizable stack of minor bonuses. But chanters aren't entirely about their passive phrases and chants. With each phrase that passes, chanters gain greater control over the spirits assisting them. When enough control is gained, chanters can direct them to perform a single powerful spell called an invocation. Invocations are often support-oriented, but some contain powerful offensive effects. Invocations are so powerful that they disrupt a chanter's chants, disabling their effects for several seconds until the chanter can recover. While Eora's wizards are known for their "colorful" spell names, chanters' phrases are far more loquacious, often incorporating the entire spoken text of the phrase. In addition to their chants and invocations, chanters' close association with the Lost gives them one final, passive power: Ancient Memory. This ability activates whenever the chanter is in combat and grants low-level Stamina regeneration to all nearby allies. It is not as strong as a fighter's Constant Recovery or a priest's Holy Radiance, but can affect even faraway allies at all times. Priests are devoted followers of one or more deities, though almost all have a primary dedication to a single god above all others. They are well-versed in philosophy, myths, and legends, giving them an inherent bonus to the Lore skill. Additionally, the requirements of their faith often involve traveling long distances in difficult circumstances, giving them an inherent bonus to Athletics. In the world of Eora, priests do not gain power directly from their deity, but from their belief in the deity and the tenets of their religion. Paladins share a similar source of power, but differ from priests in the intensity and nuance of their beliefs. Paladins' faith is single-minded, extremely passionate, and held above all other concerns. The faith of priests is more philosophical, open to criticism (both their own and from others), and malleable from individual to individual. While paladins are ever-burning wellsprings of spiritual energy, priests gather energy into their own souls and release it through the use of specific prayers. These prayers form the common spells priests use in battle, ranging from healing magic and divine attacks to a variety of blessings and curses. Compared to wizards, priests have access to a smaller number of spells overall but do not need to prepare those spells in a grimoire. And while priests do have offensive spells, they are smaller in area and generally weaker in power than similar effects available to wizards and druids. In addition to their spells, all priests have two inherent abilities: Interdiction and Holy Radiance. Interdiction is a fast-acting Dazed effect that the priest can apply to a group of enemies. It does not have a long duration, but can be valuable in gaining a quick advantage. Holy Radiance regenerates Stamina for all allies in close proximity to the priest. Additionally, any vessels (spirits bound into unliving matter like dead flesh, copper, or bronze) hit by the effect take Burn damage and are Frightened if the radiance overcomes their Will. The power of both Holy Radiance and the paladin's Faith and Conviction abilities can be modified by their behavior and the reputations they develop from the choices they make. When players make a paladin or priest character, they select an order or deity, respectively. Each choice highlights two types of behavior that are celebrated and two types of behavior that are condemned. For priests and paladins played as the main character, their Holy Radiance and Faith and Conviction power will shift based on their behavior. Reinforcing their deity's or order's preferred behavior will gradually increase their power, while playing against type will cause a small diminishment in their power. These changes are not dramatic, but reflect a measure of dissonance between the character's stated faith and how they choose to conduct themselves. See the full update for lists of Chanter chants and Priest spells, and also of Paladin orders and deities. 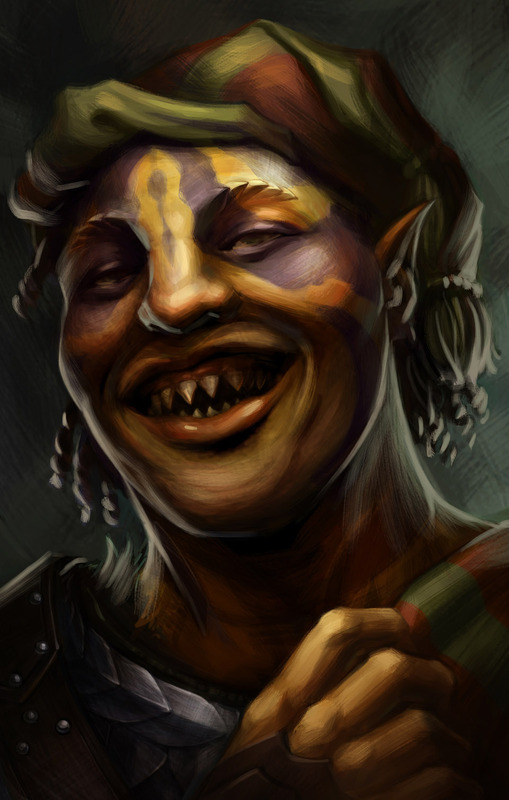 There's also a new portrait of a previously unseen Chanter character from the game by the name of Kana Rua, who might be a companion.